2015 Tokyo motor show: The cars on display | What Car? The Tokyo motor show is giving us a look at the future of motoring according to several major manufacturers. Unsurprisingly it is the Japanese brands that are making the most of their home show, with Lexus, Mazda, Mitsubishi, Nissan and more all showing off concepts and production cars. They aren’t the only ones to be showing off new models, though, with other manufacturers using the show as a platform to launch new vehicles. Here are the key cars on display at the Tokyo motor show 2015. Honda FCV - Honda is showing off the production version of a follow up to the FCX. It will go on sale in Japan next year, and it has been confirmed that it will go on sale in the UK. Lexus LS concept - Lexus has confirmed it will show a concept car at the Tokyo show, with the brand saying that the car will: "capture the company’s vision of progressive luxury." With Lexus marking 25 years of sales at the Tokyo show, the concept is expected to preview the look of the next LS saloon. Mazda rotary concept - Mazda has confirmed very little about its show car, but has said that it will be a new sports car concept. It is understood to be a rotary-engined car, which could turn into a successor to the RX-8. Mini Convertible - Mini is showing one of the few production cars to be revealed at the Tokyo show, with its latest Convertible making its debut. It will go on sale in the UK in March next year, with prices starting at £18,475. Mitsubishi eX and Emirai - The Japanese brand is showing off two concepts at the show. One is the eX, which is officially pointing to the future of Mitsubishi’s electric technology, but could also give an indication of the look of a car the size of the current ASX. The other concept, called the Emirai and made by Mitsubishi Electric, is slightly more outlandish and gives a glimpse at the future of the firm’s plans for self-driving technology. Nissan IDS Concept - The Nissan IDS Concept at Tokyo is one that shows off the company’s autonomous technology plans for the future, but is also expected to give a glimpse at the look of the next generation of the electric Leaf. Porsche Macan GTS - The Macan range now comes with a model that is aimed squarely at those that want to combine the practicality of the premium SUV with a sporty drive. The GTS comes with a 355bhp 3.0-litre petrol engine, and can get from 0-62mph in as little as 5.0sec. Subaru Impreza - While the Impreza isn’t due in UK showrooms until later in 2016, the new saloon will be previewed by a concept car at the Tokyo show. The hatchback is set to bring in a dramatic new look and come with new cylinder shut-off technology. Suzuki Ignis - The key new Suzuki show car will be the production version of the iM-4 concept. It will go on sale in the UK, but might not take the Ignis name that has been used on Suzukis of the past. Toyota S-FR - On the face of it, Toyota looks to have one of the most exciting cars on display in Tokyo, with the S-FR concept. 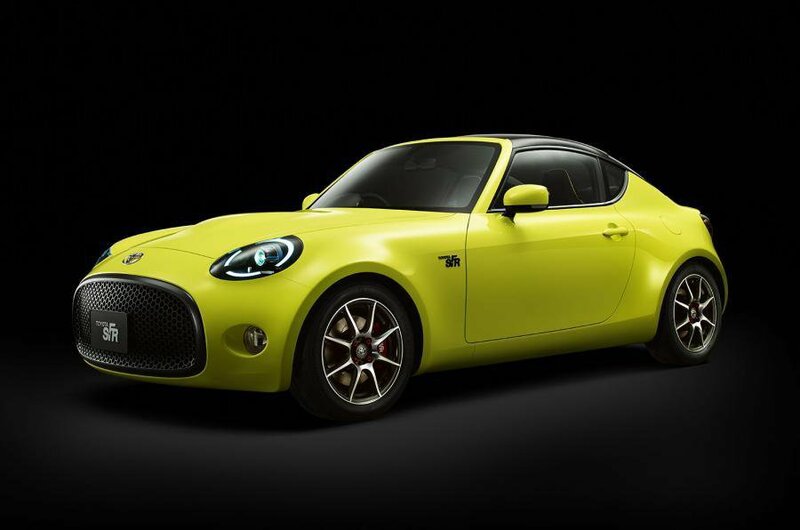 It previews a sports car that could well sit underneath the GT86 in the company’s range.